Bresil was born in Gonaives, Haiti in 1952. 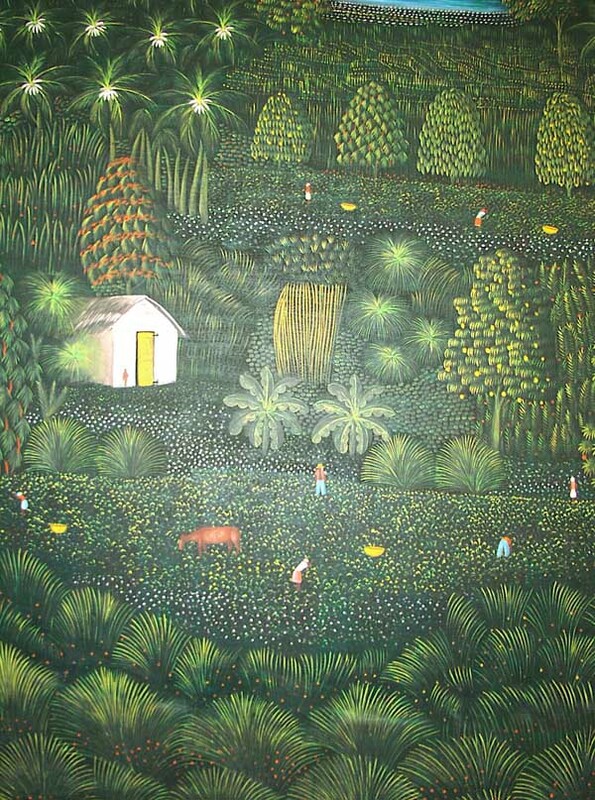 He began to paint quite early in life and relocated to Port-au-Prince in 1973. Bresil is one of those painters whose work is instantly recognizable. His lush green landscapes are often populated with pink flamingos and contain flowing streams and waterfalls. He did all sizes of paintings including extremely large ones that were quite monumental, even breathtaking. His work would have to be described as decorative and his themes were repetitive but they were, and are, coveted internationally Evidently he became quite eccentric as he got older and was killed tragically in a violent altercation at a restaurant in 1999. 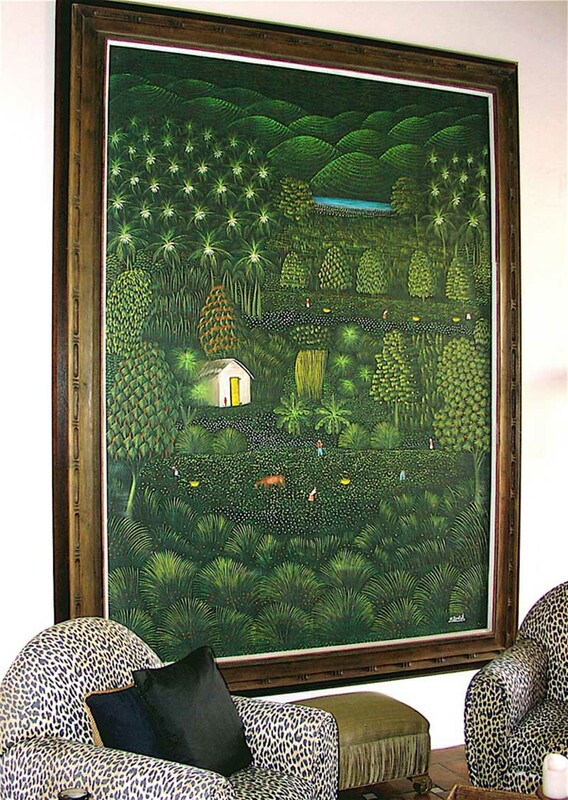 Authentic paintings by Bresil are scarce these days as people who have them tend to hang onto them, but there are many fake ones. This one is genuine and monumental. It lived for years in West Palm Beach and is currently located in San Miguel De Allende. 101x 73" Oil on Canvas.